Beautiful Lake Sherwood lakefront home! Wonderful views of the lake from almost every room. 1st floor master suite with large remodeled on-suite. Formal office, dining room, stunning open kitchen with granite, hearth room, 5 large bedrooms, 4 full baths & 2 half baths. Wonderful finished basement with wet bar, family room, game room & theater room. Outside, enjoy the tiered deck, gunite pool, firepit & private cove on the lake. 7535 33rd ST (MLS #206750) is a 1.5 story single family home located in Topeka, KS. 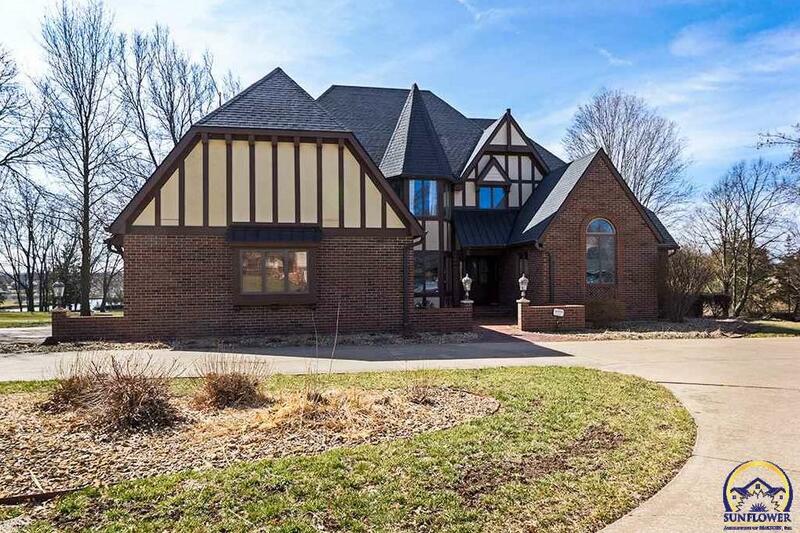 This single family home is 5,910 sqft with 5 bedrooms and 6 baths. This property was listed on 04/16/2019 and has been priced for sale at $615,000. Nearby zip codes are 66610 1509, 66610, 66614 0000, 66614 4155 and 66615. This property neighbors other cities such as Auburn and Wakarusa. Listing Last updated 04/22/2019 2:00 PM CDT . Some properties which appear for sale on this web site may subsequently have sold or may no longer be available. Walk Score provided by Walk Score. Mapping data provided by Google and Bing.